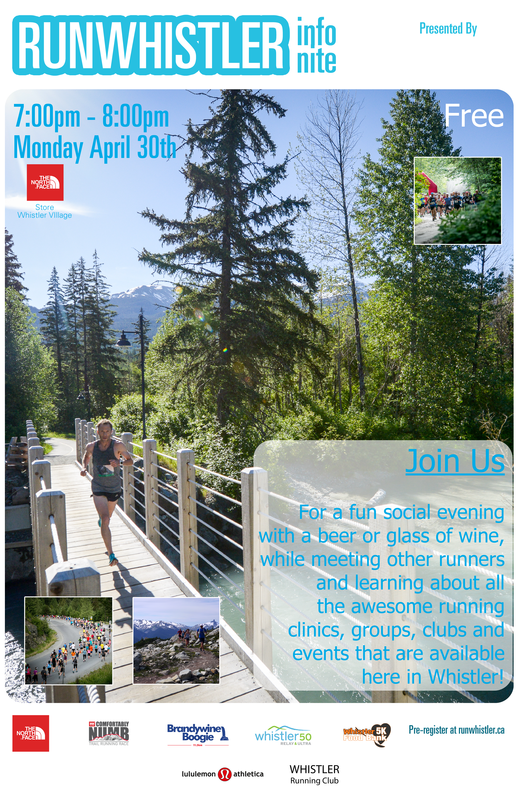 The RunWhistler info nite is free to attend for all residents and visitors of Whistler. Come on out and learn about all the great running opportunities that exist here - you may just be amazed! Attendees must be at least 19 years of age due to liquor license laws. Join the Whistler running community online and share your stories, experiences, favourite routes and views, awesome trails etc online using the hashtag #runwhistler. Tell the world about how awesome a place Whistler is for any type of running for any type of runner.